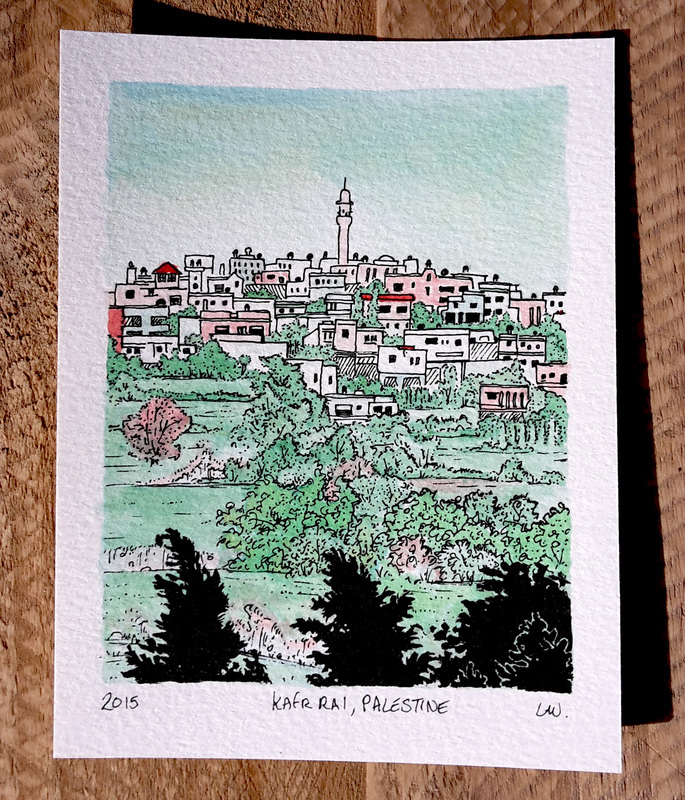 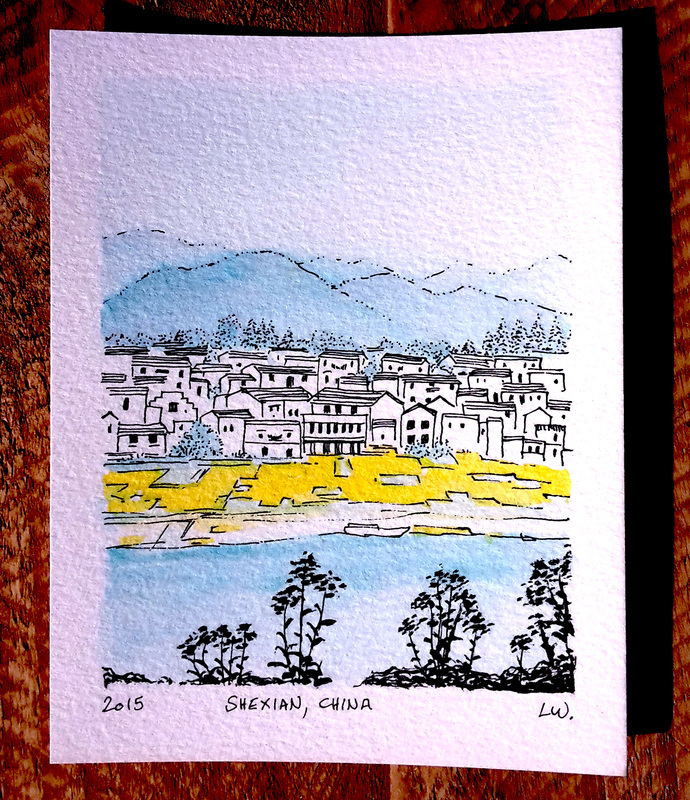 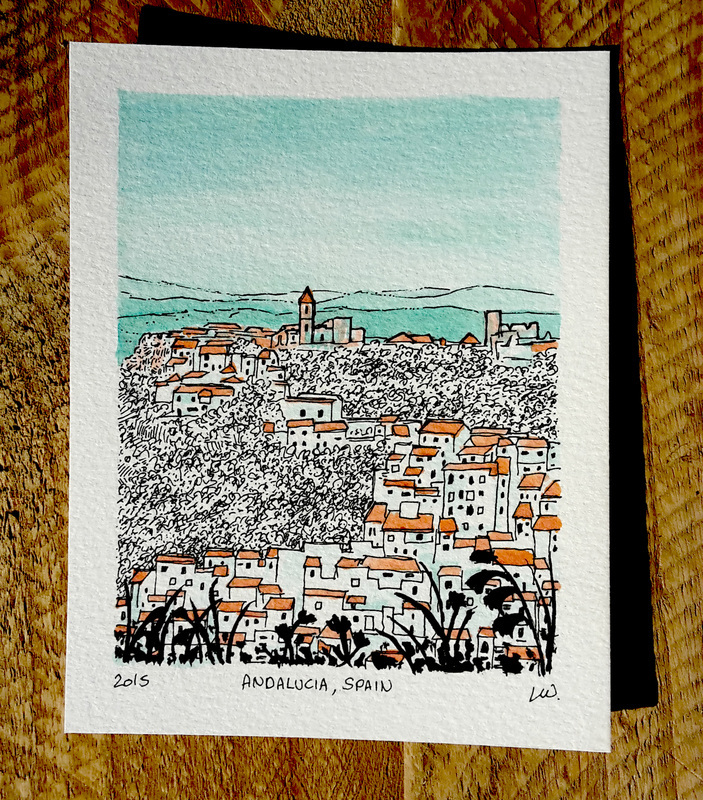 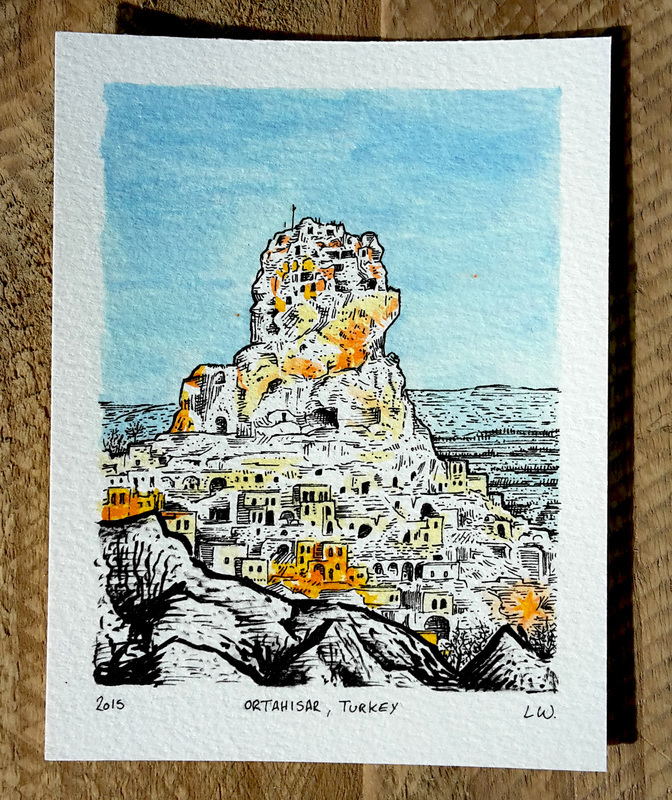 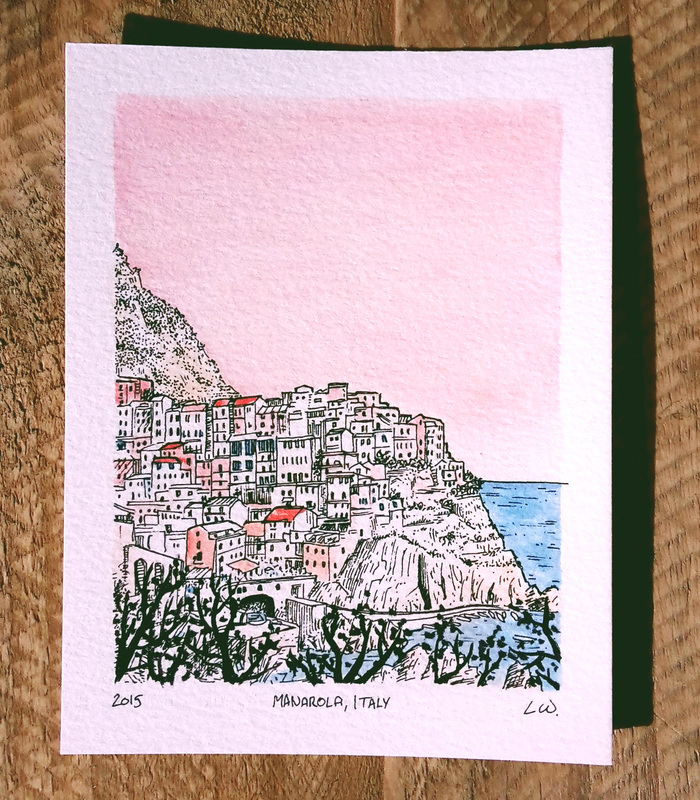 8 Hand painted postcards of various locations around the world. 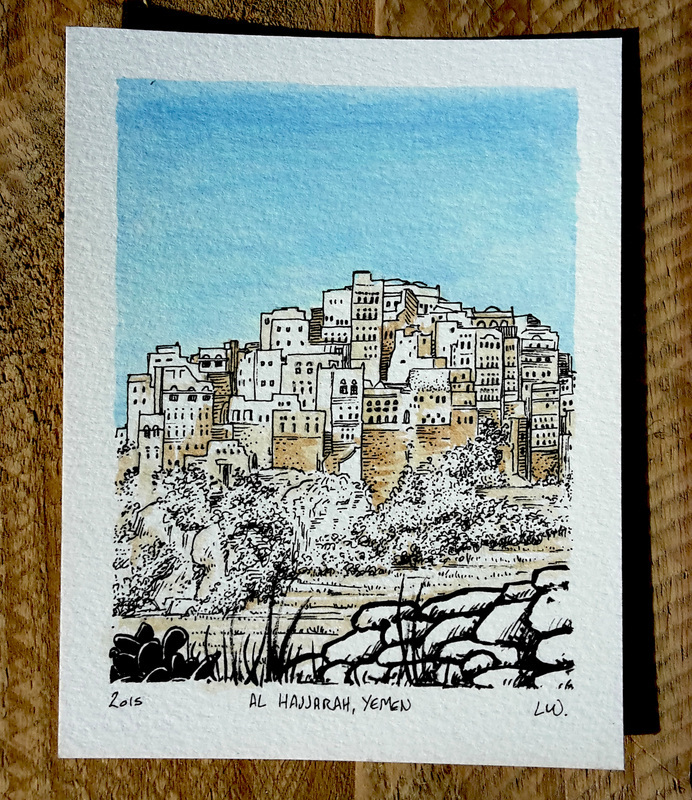 I've tried to capture the beauty and atmosphere of each place, using only two to three colours, to create a range moods and colour schemes, to suit different interiors to make grate artwork to hang on walls, or just to post with a message to someone special. 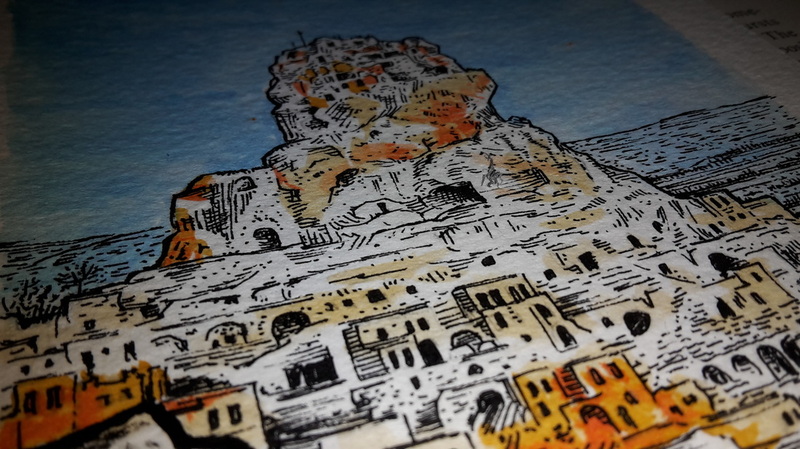 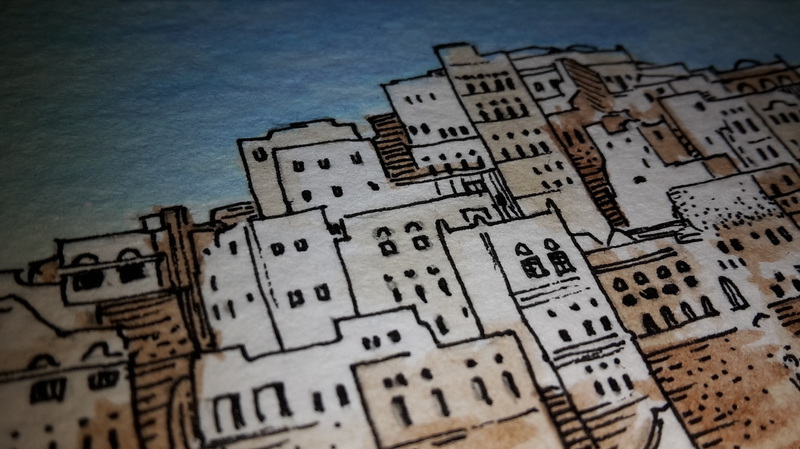 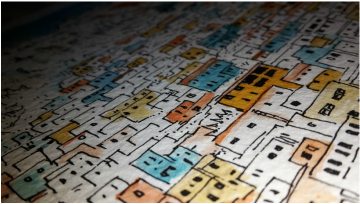 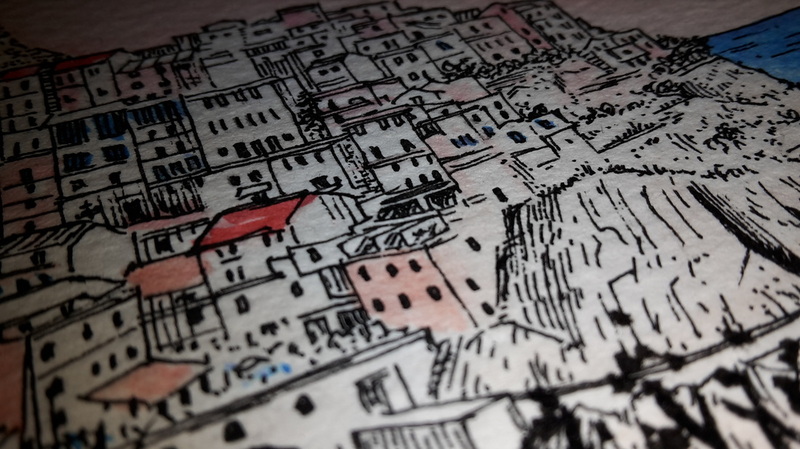 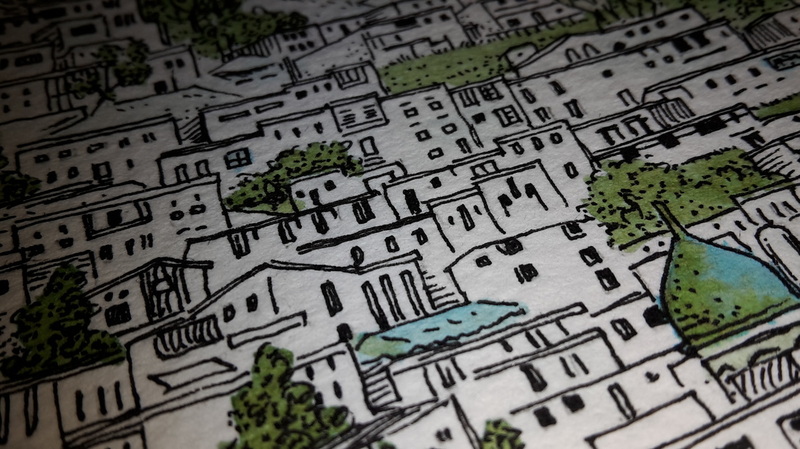 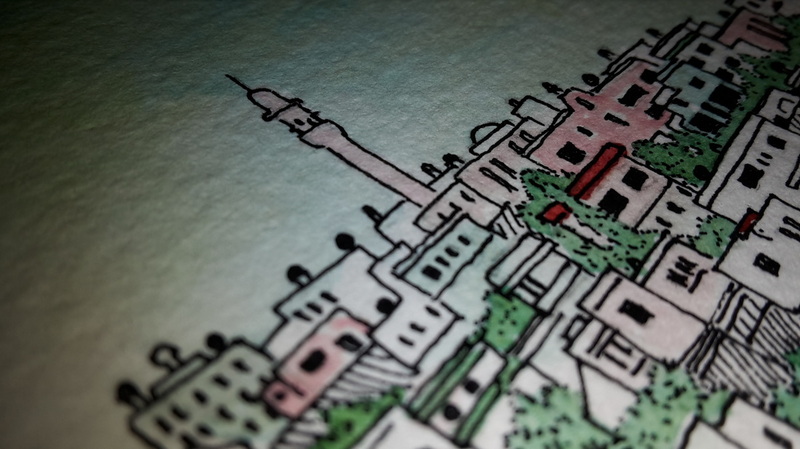 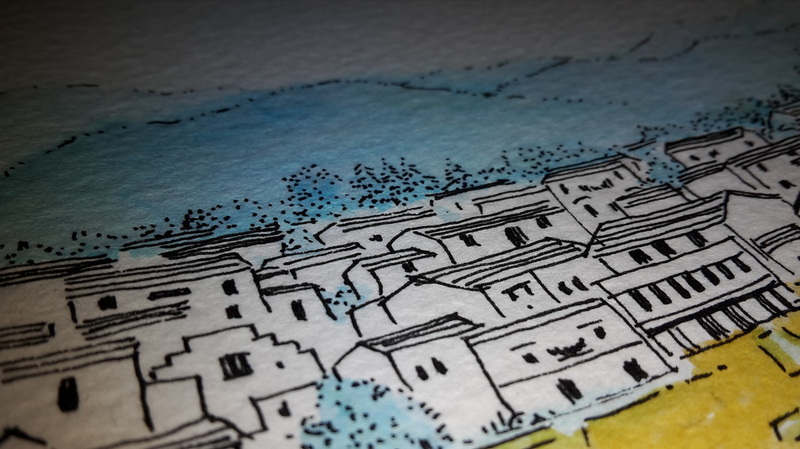 Each piece is drawn from photograph of a beautiful town or city built upon a mountain or hillside, with some kind of silhouette foreground to add depth and an interesting finish. 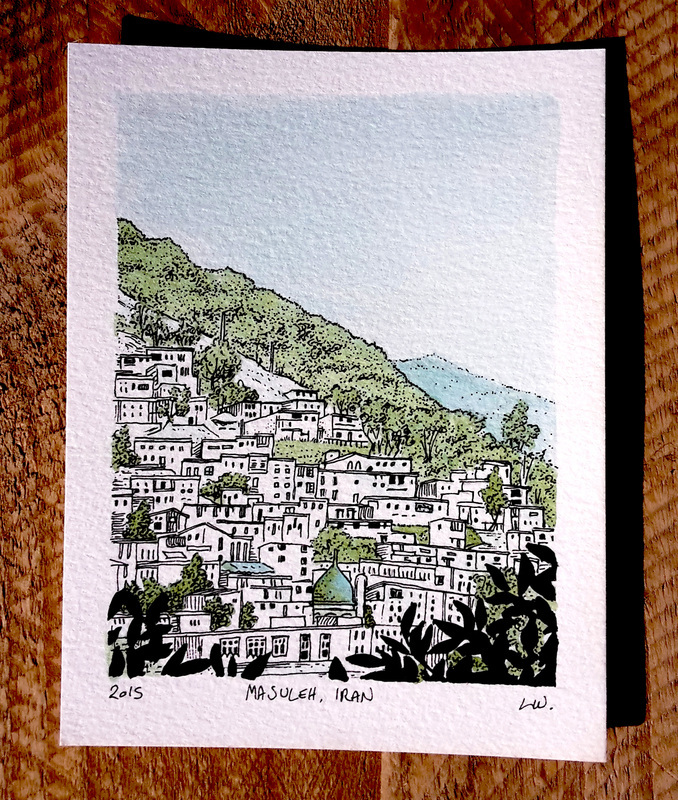 Painted with a brush pen and ink, then out lined with a rotring pen on high quality, 300gsm textured artists paper measuring at 150mm x 115mm, just a little bigger then a regular postcard to allow room for a nice white border for ease of framing.